Permaroof Derby North started trading under license 2nd December 2016. Prior to this we were a father and son business, who collectively have over 20 years’ experience in both flat and pitched roofing. Both John and Paul are NVQ trained, and have a wealth of experience in all types of roofing. 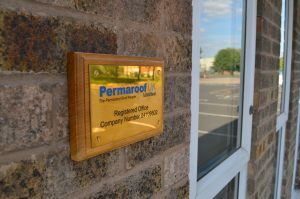 We decided to join the Permaroof Network, as they have been around for over 16 years and have built a highly reputable supply business across the UK. We work together ensuring the highest of standards. They are one of the largest EPDMsuppliers in Europe, and are authorised distributors for Firestone Building Products, who have over a century of knowledge within the rubber industry. As part of the Permaroof License Network, we offer Insurance Backed Guarantees as standard. Every installation is photographed, before, during and after and is logged on file as part of the guarantee registration. To stengthen this we are also open to random quality control inspections, so you as a consumer can be assured you are getting a quality installation. Relax. You are in safe hands.